I really hope Justin Cronin continues to write this type of fiction. He's a little too good at it. A couple of years ago, I picked up "The Passage" not really knowing what to expect. It became one of my favorite books. It was epic. It jumped through time. It presented parts of the story using different styles. And, then I found out that it was the first of a trilogy. Series are the best. You get to sink right back into a story, without much effort. 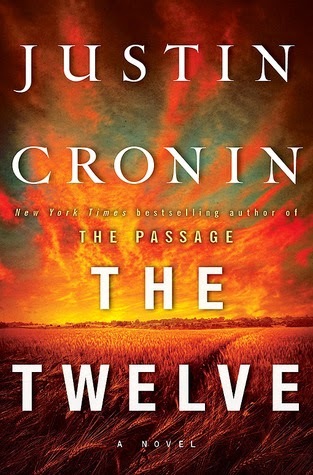 Cronin started "The Twelve" off with a Biblical-style of writing that re-chronicled the first book's major storylines. Killer virus. Vampiric race created. Bands of survivors that had learned to adjust throughout the United States that is no longer the United States. A little girl that was also infected by the virus but showed no signs of it, except a prolonged life and the ability to live without fear around the vampiric beings. The major plot development that we need to kill off all the major virals in order to kill all the lesser virals. At the end of the first book, we learned that the twelve main Virals (as they are called), which created many other Virals. To easily kill off the many different Virals, we need to kill of the twelve main ones. And so begins the second tale. It's not what I expected. I predicted journeys across the land, much like the first book, in hot pursuit of the Twelve, to kill them off and save the lifeline of the human race. There were no crazy journeys -- instead, we learn that after five years, the major characters from the first book have embedded themselves into their new lives. Sure they've tried to go after the Twelve, but they have the Texas army behind them, as well. It's much more difficult to persuade an army to hunt for the major Virals, so what to do then? Well,why don't we go back in time to "Year Zero" when the virus outbreak took place? For 200 pages, we are introduced to new characters that are strangely connected to old characters. Later in the book, you continue to see these connections. Some of these connections knew about the virus when it was being created...and since they knew about it then, you know that they're going to figure out a way to keep on living in this crazy new world -- without becoming a viral. 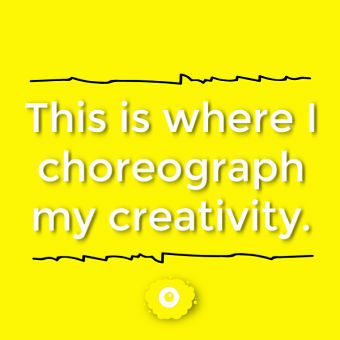 And set up residence in, of all places, Iowa. The major focus of the second book is the discovery of this new city in Iowa, which was originally an old university. People unaffected by the virus are kept "safe" by the rulers of the city that have learned to become immortal. They force the normal humans they've captured to live and work in what resembles a concentration camp. But hiding underneath the surface of this new city is a renegade, doing what "he" can to corrupt the city and bring it down. This Sergio, which is short for insurgence, find ways to bomb parts of the city to anger the leaders. These leaders are a little worried because they are preparing for 11 of the 12 virals to come and stay with them, building a massive -- something. It's like a giant-concrete-palace-thing. Of course, you can probably guess that their plan is foiled. Most of the characters are on their own journeys in this book, and so while we chapter hop throughout the book, we are getting multiple perspectives. Luckily, toward the end of the book, all the main characters meet up again, tightening up the narrative toward the (literally) explosive climax of the second book. The ending ties up a tad bit nicer than the first book (the first book left the reader hanging a bit), and family members are reunited, however, Cronin does a good job of setting us readers up for the final book, though. And. I. Can't. Wait.